Graham Brash has teamed up with Ove Ulrick Roed A/S of Denmark, Europe's largest Christmas Tree producing country, to bring high quality, but cost-competitive live Christmas Trees to Singapore. With thousands of satisfied customers, and our Christmas trees now having been delivered to homes, hotels, retail outlets, and offices both in Singapore and regionally, (even as far away as Diego Garcia in the middle of the Indian Ocean), GB now looks to 2004 and further improved prices and service. 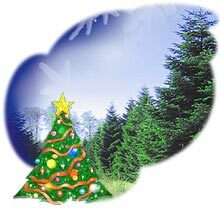 Please see our price lists for individual trees, and an early bird discount of 25% will apply to all individual customer orders received before the 1st of October 2004. Wholesale and bulk order customer orders will receive similar considerations off our wholesale prices provided all necessary deposits and order confirmations are received before the 15th of October 2004. We wish to thank all customers for their past and on going interest and support, and look forward to serving you in 2004. Need to spruce up your Xmas Tree? 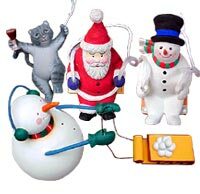 We also have specially imported Christmas Tree decorations available. Click here for details.